The artist will be in resident from 10 July investigating new creative possibilities of interactive art. This will include an immersive exhibition exploring how dialogues between individuals and robots can develop and offer an insight into the relationship between contemporary art and personal wellbeing. The exhibition, split across two spaces, will also feature amplified ambient sound and specially developed audio. As part of the exhibition live research will be conducted as to the physical effects of the artwork upon the participants. On Thursday 13 July Level opens it’s doors from 6.30 – 9.00pm to the public to offer an opportunity for all to experience first hand these intriguing and contemporary immersive spaces. Throughout the event the artist, Angela Davies, will be available to discuss her work and the development of this innovative project. Light Choreographies combines robotics with optics and interactivity. The optical phenomena known as caustic imaging harmonises with technological systems to form an immersive choreography of light. The light-navigating robot rhythmically rotates, spiralling up towards the fragile glass ‘world’. The cyclical dance of light and projection is extended through the use of the remote sphere. A dialogue between human and robot is formed. The movement of the sensor communicates to the light and the robot maps and choreographs patterns of human activity, magnifying and animating, revealing visual patterns reminiscent of macroscopic and microscopic worlds. LEVEL, is an Arts Council England National Portfolio Organisation. Level is home to world-leading arts projects with learning disabled people and continues to challenge perceptions in its radical 2017 programme. Level provides opportunities to discover, and be inspired by cutting edge art, ideas and culture for communities within rural Derbyshire. It has developing a national reputation for creating & promoting art that is different, powerful and relevant to many sectors of our society. Art that is not afraid to be different. 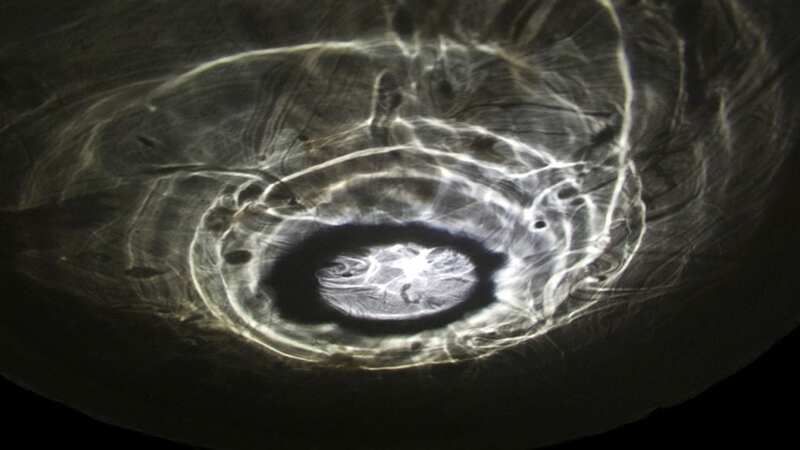 Angela Davies is an interdisciplinary artist, based in Denbigh, North Wales, synthesising creative technologies with traditional processes to create innovative light installation and sculpture. Angela is the Co-Director of Studio MADE, a cross-disciplinary studio and gallery space in Denbigh and a resident artist at Pervasive Studio, Bristol. She has exhibited on an international level and has work within public and private collections in the UK, Europe and the USA. She completed her MA with Distinction at Manchester School of Art in 2013. She has undertaken residencies and commissions for Arts Council of Wales, Cadw, the National Trust and BBC Connected Studios with NESTA. She has been the recipient of several awards including Research & Development and Production Grants from Arts Council Wales and A-N New Collaborations Bursary to fund participation in the International Symposium of Electronic Art (ISEA2014). 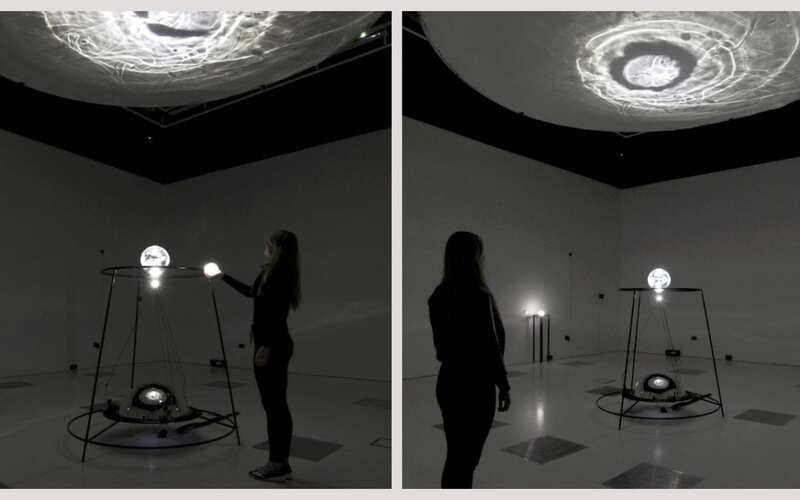 In 2016, Angela completed the Arts + Technology creative accelerator programme at Manchester Digital Laboratory (MadLab), supported by Innovate UK and Arts Council and has been supported by Innovate UK in the feasibility of Light Choreographies.